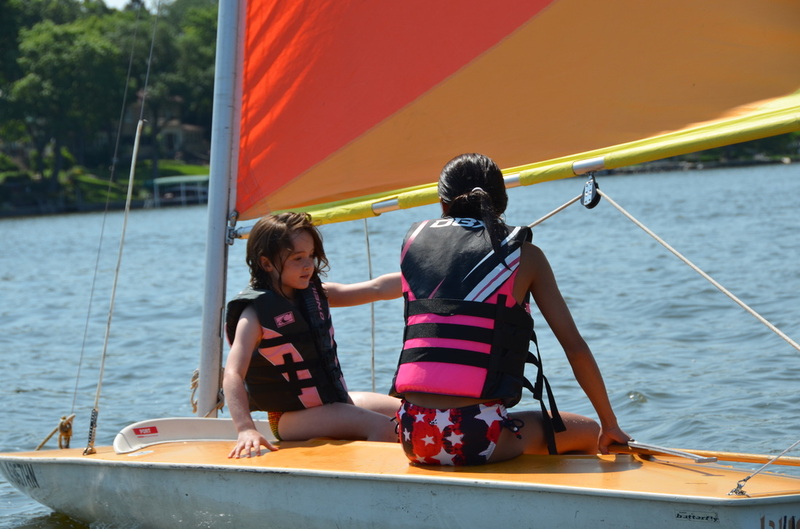 Welcome to the homepage for Community Sailing School@Pistakee. We are so happy that you have found us and look forward to providing you and your family opportunities to get out on the water and discover all the fun and enjoyment sailing has to offer. The Chain of Lakes is a great place to grow and learn new skills, regardless of age. In this site you will find information about our mission, plans for the future, programming for the 2019 season and ways to support us by becoming a part of our Sailing Into the Future Campaign. * Register more than one family member and receive $15 off each additional family member's class fee. * Register for more than one class and receive $15 off of each additional class registration. * If you know your child would like to participate all summer you can register for the whole summer at a significant discount. Student may participate in every week of Summer Camp during the 2019 season. Total cost for the season would be $3080. The discounted cost is $2000, about 35% off! One of our primary aims at Community Sailing School @ Pistakee is to invite new people into the sport of sailing and break down barriers, either perceived or real. Our programs start with offerings for youth ages 4 and up. We also provide introductory classes for adults and families. Sailing is a sport that can be enjoyed for an entire lifetime and is a great way to make friends while enjoying the natural beauty of the Chain. Can you really learn to sail properly here in the Midwest? The answer to that question is an overwhelming YES!!! The small lakes in this region consistently produce many of the country's best sailors. The protected waters of lakes like our own provide a perfect venue to learn the basics. Organized racing has been promoted for over a century in the region, providing a great network of facilities and clubs to visit and enjoy as you delve into all that the sport has to offer. Like so many other things we do here in the midwest, when sailing season comes around it's "Game On!". Don't let the best that summer has to offer pass you by, come out and join us.